Training Wheels has provided 7,477 programs between 2005-2015; recorded 5,011 enrolled children; and tallied a total attendance of 64,028. In the past ten years, 92% of parents reported increases in their children’s literacy and kindergarten readiness skills as a result of participating in our programs. Leap Into Literacy: Storytimes for children birth to five years of age. 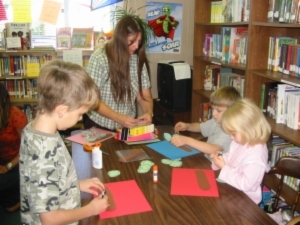 Programs are offered at child cares, preschools, libraries, and community organizations. Programs focus on building early literacy and kindergarten readiness skills. Program components include songs, stories, counting, literacy activities that extend stories, and peer interactions. Parents are offered mentoring opportunities in dialogic reading, creating rich literacy environments, knowledge in understanding kindergarten readiness indicators, and how to extend stories with activities. Program curriculum is modeled after the evidence-based Every Child Ready to Read @ your library. Preschool Science: Preschool Science is for children two to five years of age. Program curriculum is modeled after Mother Goose Asks Why? Science programs are based around the key concepts of observing, predicting, measuring & estimating, sorting, and finding patterns and relationships. Up & Away Afterschool Programs: Up & Away Afterschool Programs are held once a week at the Enterprise Public Library and the Joseph Public Library. 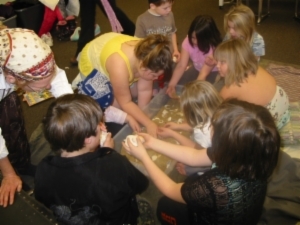 The program focuses on science, literacy, art, and math concepts. The program is for children 1st through 4th grades. Rotating Book Boxes: The library offers monthly book boxes delivered to child care sites. Each book box contains 25 books helping to promote daily reading. Newborn Baby Book Bags: In partnership with the hospital, the Library provides book bags for the families of newborns. Information in the bag contains information on the importance of reading from birth, parenting leaflets, a toy, and two books. Literacy Packets: Literacy packets are sent out monthly that focus on early literacy and kindergarten readiness skills. Contents in the packets include a free book along with activities on letters, literacy, math, science, kindergarten readiness, and colors. Parent resources include kindergarten readiness indicators, early literacy skills and practices, along with child development information. Free Book Giveaways: Putting books into the hands of children is a priority for Training Wheels. 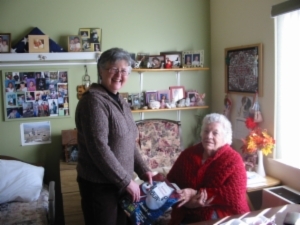 Books are distributed at programs, libraries, Food Banks, second hand stores, and during community events. In the past ten years, we have given away 25,561 books to children. Literacy Link: Literacy Link is a partnership between the Library and Building Healthy Families. Storytimes are held on the first Friday of the month at the County Library, and at Building Healthy Families the remaining Fridays. 1000 Book Before Kindergarten: Read 1000 Books Before Kindergarten is a joint effort between the County and City Libraries. Families are encouraged to begin reading from birth. Children get prizes for every 50 books read. When the ultimate goal of 1000 books is reached, the child receives a gift prize, certificate, and recognition on the library display boards. Facebook: Check out our Facebook page under the Wallowa County Library for the latest information on programs. Information can also be found on early literacy and learning. Pinterest: Looking for something to do with your child? Check out our Pinterest Boards with hundreds of ideas. Boards include Art & Crafts for Kids; Infant & Toddler Early Learning; Literacy Early Learning; Preschool Early Learning; and Science Early Learning. Resources: Families can order books and materials from the SAGE catalog. SAGE connects library users to more than 70 local and regional libraries. Library2Go provides families with access to online eBooks and audio books. “Deliver-Me-A-Book!” brings the Library to your doorstep. We deliver large print, regular print, magazines, books on tape, and videos to people who cannot access their city library. Call 426-3969 to sign up for this FREE service. Deliveries are made twice a month in the Joseph/Enterprise areas and once a month in the Lostine/Wallowa areas. “Deliver-Me-A-Book!” has made 7,331 deliveries of 24,807 materials. Link to information about careers, entrance exams, job search, college preparation center, school resources, video guides, and resources for Spanish speakers. Find information on retirement, financial issues, and wills and estate planning.